On the outskirts of Riyadh, a building site is quickly being transformed into the birthplace of Saudi Arabia's quest for nuclear power, a bid that has sparked concern in the US Congress and fury in Tehran. New satellite imagery shows that construction on an experimental reactor is making "expeditious" progress -- just three months after the Kingdom announced plans to build it, according to former director for nuclear inspections at the International Atomic Energy Agency (IAEA), Robert Kelley. Kelley estimated that the reactor could be completed in "nine months to a year." The Kingdom has been open about its nuclear program with the IAEA, which sent a team to Saudi Arabia last July to check on building plans. It has repeatedly pledged that the program is peaceful. But Crown Prince Mohammed bin Salman said last year that "without a doubt if Iran developed a nuclear bomb, we will follow suit as soon as possible." In an interview last year, Saudi Energy Minister Khalid al Falih said: "It's not natural for us to bring enriched uranium from a foreign country to fuel our reactors," citing the country's uranium reserves. Saudi Arabia went public with its nuclear ambitions nine years ago, but the plans have gone into overdrive as part of the Crown Prince's "Vision 2030" -- a strategy to wean Saudi Arabia off its reliance on oil and diversify both the economy and its energy mix. It already consumes about one-quarter of its own oil production, and output is likely to remain roughly stable even as demand for energy is expected to triple by 2030. So the blueprint for Vision 2030 includes solar and wind power as well as a nuclear program in an effort to source one-third of energy needs from non-oil resources. Longer-term, Saudi Arabia envisions 17 gigawatts of nuclear capacity by 2040, enough to provide 15% of its power needs. The experimental reactor under construction at the King Abdulaziz City for Science and Technology is designed for training scientists, Kelley told CNN. "It's the size of a waste basket and has no strategic importance," he said, adding that it would take 100 years to process enough plutonium for a nuclear weapon. Next, the Saudis want to build two commercial reactors and are shopping around for contractors. There are five finalists, according to the Saudis: Westinghouse from the US, as well as companies from China, Russia, France and South Korea. Saudi Arabia has also signed agreements with the China National Nuclear Corporation for exploring uranium reserves in the Kingdom. 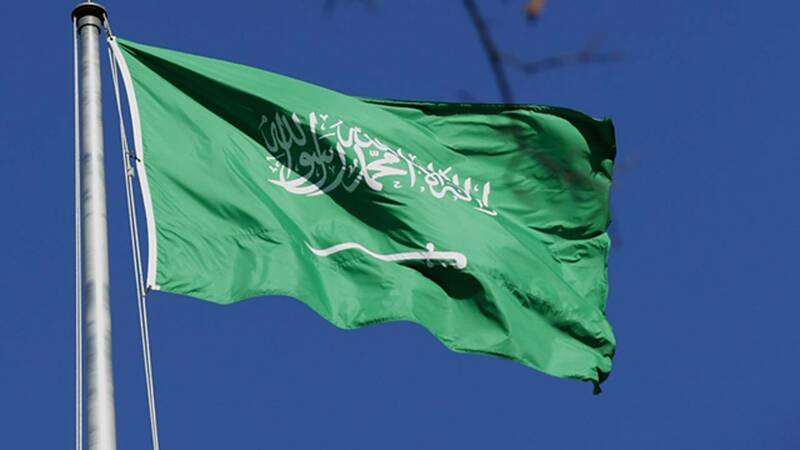 The IAEA sent a team to Saudi Arabia in July last year to review the development of its nuclear power infrastructure. That mission concluded that the Kingdom is "well placed to finalize its plans for construction of its first nuclear power plant" through partnerships with countries that have nuclear power industries. In a visit to Riyadh in January, Mikhail Chudakov, IAEA Deputy Director General, confirmed Saudi Arabia had "made significant progress in the development of its nuclear power infrastructure." But when the Saudis want to move to the next stage -- fueling the reactor at King Abdulaziz City and any commercial plants -- they will have to submit to more intrusive IAEA involvement. "They've been exempt for 30 years since they signed a non-proliferation treaty," said Kelley. "Now they're going to have to make some serious paperwork and agree to inspections," if they want to acquire nuclear fuel. Skepticism in the US Congress over whether Saudi Arabia can be a trusted partner has grown since the gruesome murder of journalist Jamal Khashoggi in Istanbul last year. That's now manifested itself in critical scrutiny of the Saudi nuclear program -- and especially whether the Trump Administration is doing enough to ensure non-proliferation. "We will not permit that to happen. We will not permit that to happen anywhere in the world," Pompeo told CBS. "The President understands the threat of proliferation. We will never write a $150 million check to the Saudis and hand them over the capacity to threaten Israel and the United States with nuclear weapons, never." "The last thing America should do is inadvertently help develop nuclear weapons for a bad actor on the world stage," said Democratic Senator Jeff Merkley, one of the resolution's sponsors. House Democrats in February claimed that in 2017 White House officials had pushed the sale of nuclear technology to Saudi Arabia despite warnings from National Security Council officials. A spokesman for Republicans on the House Intelligence Committee, said the report amounted to "a ridiculous conspiracy theory." In heated exchanges at the Senate Armed Services committee at the end of March, US Energy Secretary Rick Perry said that if the United States did not cooperate with the Saudis, they would look to Russia or China to develop their nuclear industry. "I can assure you that those two countries don't give a tinker's damn about non-proliferation," Perry said. "That's why we continue to work very, very diligently to try to bring those countries that want to develop civil nuclear programs into the sphere of the United States, because we are committed to non-proliferation." Perry said his department had approved several applications for US companies to sell nuclear power technology and assistance to Saudi Arabia. However, they do not allow the transfer of nuclear material, equipment or components. Iran claims that the Trump Administration plans to sell Saudi Arabia nuclear technology without sufficient safeguards. "First a dismembered journalist; now illicit sale of nuclear technology to Saudi Arabia fully expose #USHypocrisy," Foreign Minister Javad Zarif tweeted in February. And in March, Ali Shamkhani, secretary of Iran's Supreme National Security Council, accused unnamed regional states of developing "suspicious nuclear projects," which would force Tehran to revise its defense strategy. Quoted by Iranian news agencies, Shamkhani said such plans would "force us to revise our strategy." Whatever Saudi Arabia's energy strategy, and however sincere its pledge that it has no wish to develop nuclear weapons, the mere existence of a nuclear program is bound to inflame tensions across the Gulf.